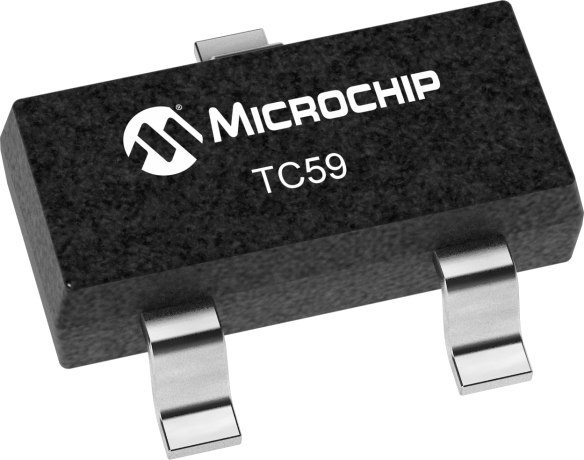 The TC59 is a low dropout, negative output voltage regulator designed specifically for battery-operated systems. Its full CMOS construction eliminates the wasted ground current typical of bipolar LDOs. This reduced supply current significantly extends battery life, particularly when the TC59 is operated in dropout. Other TC59 key features include low supply current (typically 3.0 µA) and low dropout operation (typically 120 mV at 50 mA). The TC59 is packaged in a tiny 3-pin SOT-23A package.